Aaron and Stephanie contacted me to do their engagement session while they were visiting Denver and I knew exactly where to take them. NCAR is close to Denver and offers gorgeous views of the Flatirons. We did this engagement photography session in the morning and while it was a pretty overcast, I think it added a romantic mood to the overall feel of the photos. NCAR is one of my favorite places to shoot because there is a pretty good diversity of views. From majestic mountain views, to forested trees and grassy areas, there’s something for everyone looking for a natural outdoor look. We did this engagement session in the Fall and weather in the morning was still warm enough to feel comfortable. NCAR can be snow covered in the winter, especially after a recent snowfall. It gets a lot of shade so even if temperatures have been above freezing along the front range, there’s a good chance snow will still be on the ground for a winter engagement session. Pricing for mountain engagement shoots start at $425 and last about 60 minutes. I want to capture the things you two love to do together. It’s about capturing your chemistry, looking lovingly into each others eyes and laughing at inside jokes. It’s not easy to be in front of the camera so it’s my job to get you guys feeling confident, comfortable, and yourselves so that we get the best photos to capture your personalities. Your engagement pictures will set the tone for your wedding day and we want to show off that magical chemistry that makes the two of you so special. If you are looking for the best engagement photographers in Denver and the nearby area, you’ve come to the right place. 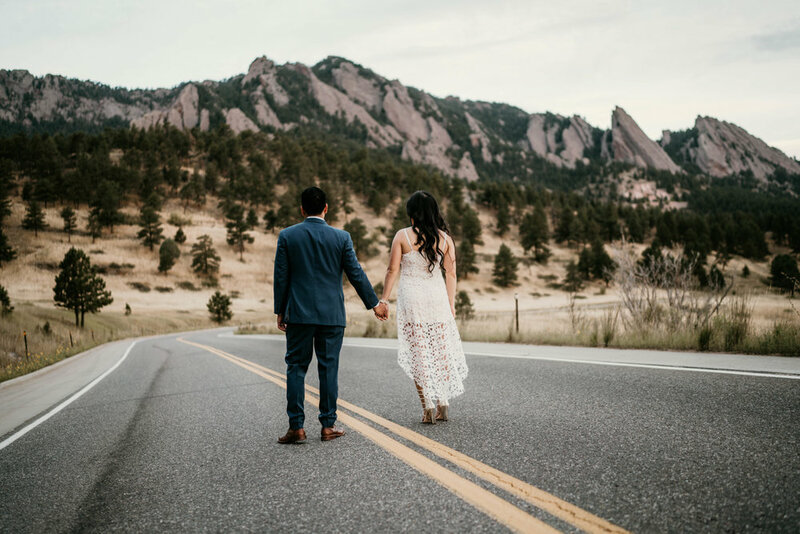 Tim Gillies is a Denver photographer offering wedding and engagement photography in Denver and the surrounding areas, including the mountains. If you are looking for an outdoor mountain engagement session, contact Tim to book your shoot today.